Oil retreated below $71 a barrel as Saudi Arabia was said to offer extra crude supplies to some customers following a plan to boost output, while the US considers tapping into its emergency stockpiles to rein in prices. Futures in New York slid as much as 1%, after falling 3.8% last week. Saudi Arabia offered additional cargoes of its Arab Extra Light crude to at least two buyers in Asia for August, people with knowledge of the matter said, after supplying full contractual volumes to customers in the region. Meanwhile, the US government is said to be mulling the release of oil from the nation’s 660-million-barrel Strategic Petroleum Reserve. 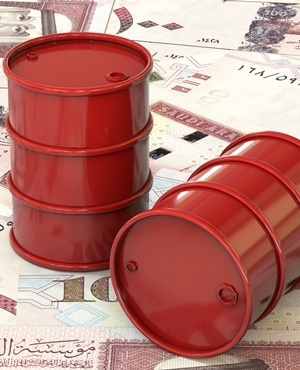 Crude has been weakened by fears that global demand will be hurt by trade tensions between the US and China, after prices hit a three-year high last month on prospects of a supply crunch. Investors are watching for signs that members of the Organisation of Petroleum Exporting Countries and its partners are moving to fill any potential gaps in supply caused by renewed US sanctions on Iran, falling output in Venezuela and sporadic disruptions in Libya. OPEC and its partners could increase production by more than the 1 million barrels a day agreed under a deal last month if needed, Russia’s Energy Minister Alexander Novak said. Still, the group’s Gulf members may need to pump almost as much oil as they can to cover swelling output losses, according to the International Energy Agency. “Going forward, we may see OPEC members with the ability to ramp up output seek to grab more market share, whereas other nations such as Iran and Venezuela trying to stick to the agreement,” said Ahn Yea Ha, a commodities analyst at Kiwoom Securities Co.
West Texas Intermediate crude for August delivery fell as much as 72 cents to $70.29 a barrel and traded at $70.41 on the New York Mercantile Exchange at 2:37 pm in Singapore. Total volume traded was about 21% below the 100-day average. Prices dropped $2.79 to $71.01 last week. Brent for September settlement lost 72c to $74.61 a barrel on the London-based ICE Futures Europe Exchange. Prices fell 2.3% last week. The global benchmark crude traded at a $5.35 premium to WTI for September. Futures for September delivery gained 0.5% to 493.3 yuan a barrel on the Shanghai International Energy Exchange, after dropping 0.3% on Friday. The Trump administration is reviewing options ranging from a 5-million-barrel test sale to the release of 30 million barrels from its oil reserve to cool down pump prices ahead of congressional elections in November and as sanctions against Iran are due to snap back. A senior Iranian official urged Trump not to use its emergency stockpiles and instead drop sanctions on the Islamic Republic’s crude shipments. Meanwhile, OPEC and its allied producers have “all needed tools” to quickly agree on boosting oil production by more than the amount pledged last month, Russia’s Energy Minister Alexander Novak said. Iran, facing the loss of customers scared off by US penalties, disputes that OPEC agreed to any significant output increases at its meeting in June. Output limits assigned in late 2016 still apply, and any country that exceeds these is betraying the group, it has said. In Libya, crude production at its biggest field is set to drop by about half after authorities shut wells for safety following the armed abduction of several workers at the Sharara deposit, according to the National Oil. While the African nation lifted force majeure at the western El-Feel field and resumed shipments from its eastern oil ports last week, supply disruptions like the one at Sharara complicate efforts by OPEC, of which Libya is a member, to pump more crude. • Explorers in the US oil patch continued to drill at the highest rate in more than three years as crude inventories dropped to their lowest level since February 2015. • Hedge funds are showing signs of wavering confidence in ever-higher oil prices. • Money managers were taking money off the table before Brent had its worst day in two years on Wednesday. • Gasoline futures slipped 0.7% to $2.0920 a gallon after climbing 1.7% on Friday.